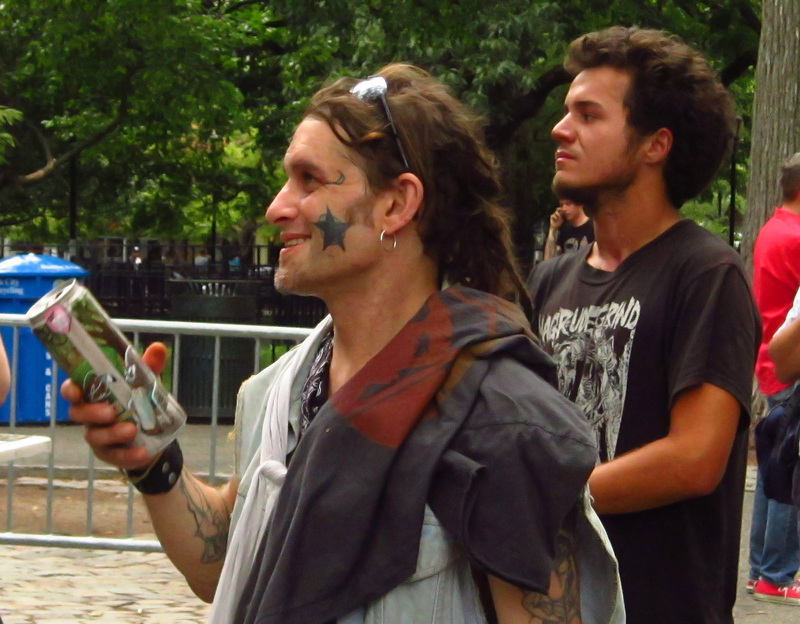 This past weekend marked the 23rd anniversary of the Tompkins Square Park Police Riots. 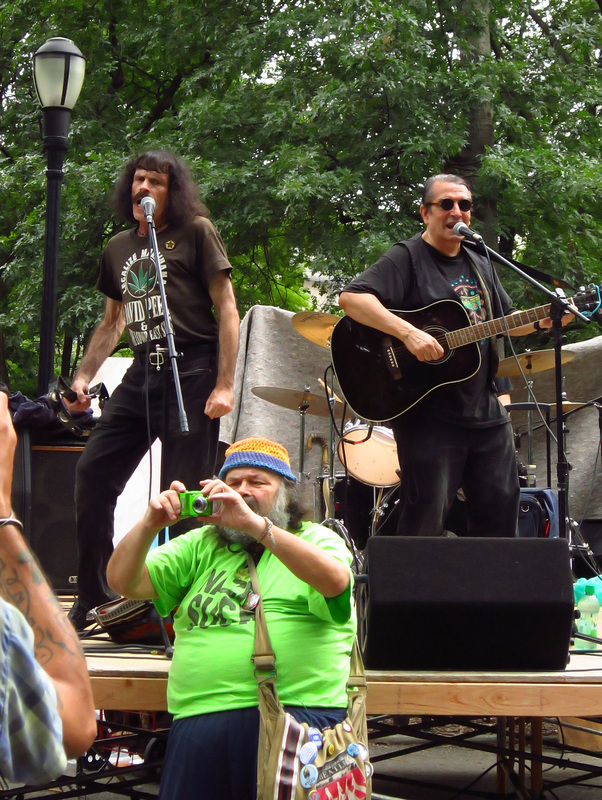 Several bands played in the park to commemorate the event, including one of my local favorites, David Peel and The Lower East Side. And, LES Jewels, enjoying the show. 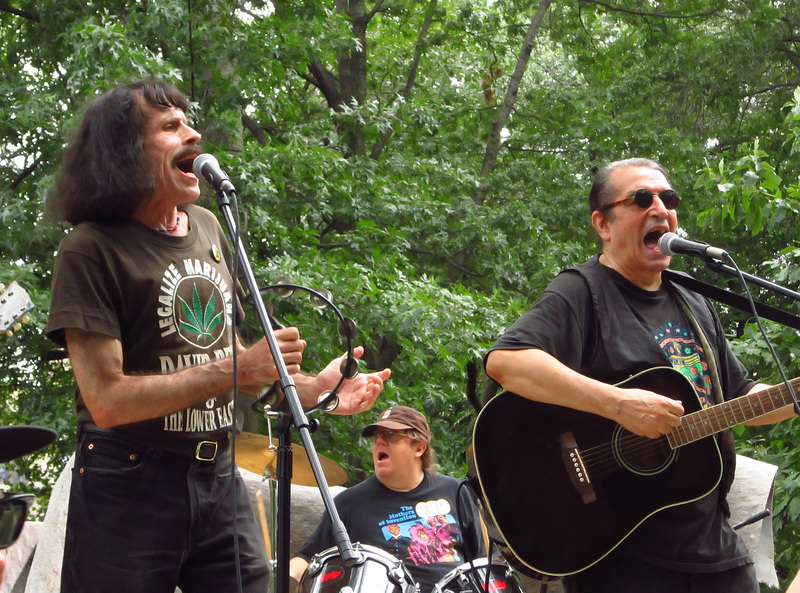 Have a listen - here the band sings the always- enjoyable "Marijuana"
And, of course, "The Pope Smokes Dope"
Great photos and videos! I always miss these TSP concerts because they're too early for me, so thanks for putting up a slice of them today! Beautiful piece Goggla. Sorry I missed you there.